E-Commerce China Dangdang (DANG) stock is climbing in mid-morning trading on Wednesday after receiving a takeover bid from iMeigu Capital Management. E-Commerce China Dangdang (DANG) stock is declining in mid-afternoon trading on Thursday as Chinese stocks sink. Is China Hiding Just How Bad Its Economy Is? Investors in E-Commerce China Dangdang Inc. saw new options become available this week, for the October 16th expiration. 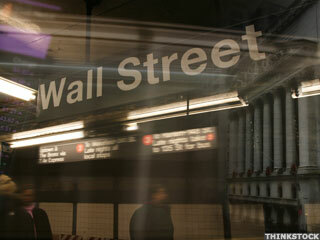 Wall Street sees no fresh start to the week as stocks suffer their fifth day of losses on Monday. Stocks spend their fifth day in the red on Monday, their longest longest streak in six months. The offer comes almost three years after the company listed in the U.S.
Shares of E Commerce China Dangdang (DANG) are rallying today on China's market recovery. Shares of E Commerce China Dangdang (DANG) are dropping as China stock market continues to plunge. Investors in E-Commerce China Dangdang Inc. saw new options become available this week, for the August 21st expiration. E-Commerce China DangDang (DANG) shares gain as Chinese stocks rally after Qihoo 360 (QIHU) received a 'going private' offer from its CEO. E-Commerce China Dangdang (DANG) stock is falling following the company's 2015 first quarter earnings miss. Speculative stocks aggressively sold; biotech gets belted. E-Commerce China Dangdang (DANG) is gaining Tuesday after beating analysts' estimates for earnings in the fourth quarter.